Looking at the unit volumes and average selling price (ASP) over three most recent quarters it appeared iPad sales were price elastic. That is, volume changed with price changes. We can step back and squint all we want, this does not say much. So I ran linear regression analysis on this data, trying to test the hypothesis if changes in volume can be explained by changes in price. It turns out there is absolutely no correlation between unit volume and price. The linear model Units = Constant + Coefficient X Price, has an R-square of 0.0017, that is absolutely no predictability. Changes in unit volume is independent of price. Here is how the scatter plot looks like, almost horizontal curve with points scattered above and below the line. Which means demand for iPad is driven by completely different factors – use cases, product fit, features, customer preferences etc. So if Apple wants to spur value growth it has to pull different levers than price. That is why you are seeing newer product innovations like the iPad Pro. On the other extreme of price spectrum is Amazon’s $50 Kindle tablet. If iPad is not price elastic can we say anything about volume for $50 Kindle. Unfortunately we cannot extend the model to a different product category at such a low price point. It is highly likely a price point like that can drive impulse purchases that can drive up volume significantly. When new data come in I change my mind. What do you do? What does delighting customers mean? Stated differently, what delights customers? Many have offered their own opinions and recommendations. Most fall in the general category of beating customer expectation by a mile. Examples like throwing in something extra when they least expect, sending a thank you card to customer or flowers for life events are ubiquitous. But let us drain the murky pond of opinions and get back to the basics. We have data that points to what delights customers – it is when they willingly pay a price for a version of product we offer and feel good about it. You build and offer the product at a price that delights them and at a cost that is profitable to you. The product packs the right set of values that are most relevant to them for the price point. They are more delighted to swap their cash for the product. Stated in economic terms, they get positive consumer surplus and you as marketer get better profit than otherwise. Perfect synchrony. Nothing more. Nothing less. No need for gimmicks, to throw in an extra or send handwritten thank you note. If the customer sees positive consumer surplus at the offered price point you are done. See this on display with Apple. Take the case of ear phones they pack with different iPods, iPhone and iPad. Remember Apple’s messaging when they introduced the newer EarPods that fit the natural shape of the ears? Wouldn’t customers be delighted to get that over the older models? With $199 iPod Touch Apple ships the EarPods but without the Mic and remote volume control. Wouldn’t customers be delighted to get the same one they get with iPhone? Wouldn’t the Mic be useful when you make Skype or FaceTime calls on iPod Touch? If customers want to add that convenience they can buy for the model that retails for $29. With iPhones Apple ships the EarPods that has Mic and remote control. This makes sense after all it is a phone. With its most expensive iPad model, iPad Pro that costs $1079 apple ships nothing. That is right, not even the cheapest earphone that ships with $49 shuffle is included with $1079 iPad. This is not just one example making the case but an example illustrating the principle of pricing, value allocation and consumer surplus. Yes we all will feel happier when we get the EarBuds with Mic thrown in with iPod Touch or iPad. But the point is we are already delighted to get the product as is at its price point. Once we stand up and reveal our preference there is no need to do anything more, even if it is to add EarBuds that likely cost less than a dollar for Apple. When it comes to customer delight ignore the platitudes and focus on the simple principle that customers express their delight when they swap their cash for your product. If your product does not offer value that leaves positive consumer surplus they are not going to buy your product. Therefore not delighted. Do you understand customer delight? Why isn’t there a iPad Pro Bundle? 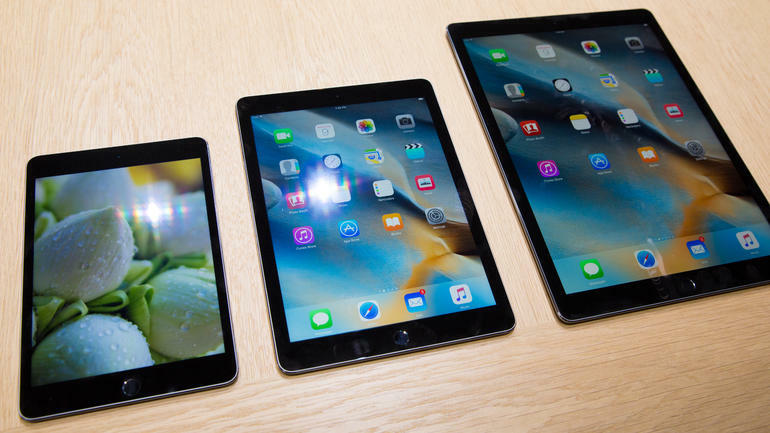 Are you tired yet of reading the many reviews on iPad Pro? May be it is time for you stop and take a closer look at its pricing and its two key accessories. Apple’s iPad Pro goes on sale today for a list price of $799. But wait there is more. You can spend $169 more for a keyboard that turns it into a laptop. And you can spend another $99 to get its Pencil. These are optional add-ons. There is no Apple bundle that offers iPad plus keyboard or all three at a lower price than the sum of individual products. What if Apple offered one or both these bundles? It doesn’t and it won’t. Why is that? Regarding two possible bundles, let us knock out one right away. It is the iPad plus Keyboard bundle. This simply could have been achieved by pricing the keyboard at $129 vs. $169. The keyboard has no standalone purpose and works only with iPad Pro. So a bundle at lower price is exactly same as a lower priced keyboard. There is no reason for Apple to bundle or drop price because it understands well the customer segment that prefers the keyboard, why they choose the keyboard and what the customers are willing to pay. Dropping the price may increase volume but at the expense of profit. If we assume 50% gross margin on the keyboard (highly likely number given Apple’s track record), Apple will have to sell twice as many keyboards $129 to make same profit as $169 keyboards. That does not fit its pricing philosophy or strategy. If you see the logic of this simple bundle it is not difficult to see why a full bundle of all keyboard and Pencil doesn’t make sense either. Additionally the segment that prefers Pencil does so for very specific use case and that does not apply to most who prefer a keyboard. So a bundle price will need to so low to appeal to both segments to generate any incremental volume, meaning even lower total profit than selling them unbundled. In simple terms, no customer demand or economic preconditions exist to create iPad Pro bundles. Apple’s product management team took the simpler and favorable approach of selling the add-ons to maximize profit. I have written at length about value waterfall and price waterfall. Value waterfall is a model to understand what prevents you from getting your fair share of the value your product creates for the customer. It is marketer’s failure to understand customer choices, buying experience, sales process and mostly a messaging failure. Price waterfall occurs in most cases because of the markup mindset which leads to discount after discount to a low pocket price or average selling price. Price waterfall leads to low average selling price (ASP) and hence lost profits. You would not think of Apple committing either of these mistakes. There is no question about Apple’s monomaniacal focus on value messaging and setting prices to capture its share. Apple does have to give better pricing to channel so its ASP is not same as MSRP but we hardly ever see any discount on Apple’s products. Apple does join Black Friday for minimal discount but nothing you would call as significant price leak. But take a look at this chart of ASP of iPad till date since its introduction in 2010. This is the blended ASP, that is across the mix of all iPad models computed from Apple’s earnings reports. Every time Apple introduces new iPad models it drops the price on previous gen models by $100. Apple introduced iPad Mini whose MSRP is $100 lower than iPad Air. The previous gen models are still value rich and compelling. iPad mini was attractive to a large segment that prefers the compactness of the device. Together these two changes nudged customers to pick models that are lower priced, resulting in lower ASP. This ASP erosion is brought about by product mix not discounts. ASP drop is not all bad if that makes up in volume. Unfortunately you can see in the chart how far the volume has fallen. Apple tried to help fix the ASP with another product mix change when it introduced 16GB, 64GB and 128GB getting rid of 32GB models. But that change did little to ASP as you see the near flat ASP curve in the last 5 quarters. Counterfactually we could say the change helped step further erosion. Looking at iPad ASP in quarter prior to introduction of iPad mini in November 2012, we see $467. Using this with the sales mix and $433 blended ASP we get iPad mini ASP o $380. What is left for Apple to do? It tried the 32GB level but didn’t move the needle. The two ASPs are not going to move much. So it did the only option available, introduce another product at much higher price point, the iPat Pro that starts at $799. In addition it introduced iPencil and Keyboard which can be attached to sale of $99 and $169 respectively. Together it hopes to get iPad Pro ASP as much as $800 (after channel pricing etc). In last article I made a prediction of number if iPad Pro models Apple will sell this quarter. With individual ASP numbers and the volume predictions the blended ASP of three models come to $471. A 10% increase, not bad but not enough. $800 ASP for iPad Pro is far better that $467 for iPad Air. And Apple will try hard to split the market between Pro and Mini by not introducing any more innovations to Air. It is not a substitute for customer segmentation. Simplest way to monetize remains charging for value delivered. 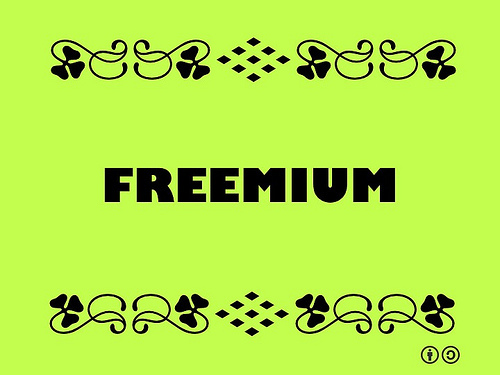 Examples used to support freemium are just examples, not proof. Those freemium companies are fading like Evernote or winning because they adopted strategic marketing like Dropbox. The Hershey’s experiment many use to support freemium is flawed. In that article I shared some perspectives of Christian Vanek, CEO of SurveyGizmo, who then had gotten rid of freemium and strongly believed in charging for value. That was then. This is now. Last week SurveyGizmo made news headlines by announcing a free version that offers unlimited survey question and responses. What does this mean to freemium? Are we seeing its resurgence among startups that are looking at all options to drive growth? Did my case fall apart because of SurveyGizmo’s decision reversal? I recently shared my outsider view of why SurveyGizmo went back on its stated position and introduced free version alongside paid versions. To get a better perspective and understanding I virtually sat down with Vanek to quiz him on this change and his overall pricing philosophy. At the outset nothing materially changed on his views of freemium nor is he giving up customer segmentation. What he shared with me, showed his vision, his approach to pricing and how transparent he is in teaching others his methods. You can see from Vanek’s explanation below, this is not freemium as it is customarily defined. It is a free version for a segment that will never pay for a survey tool. 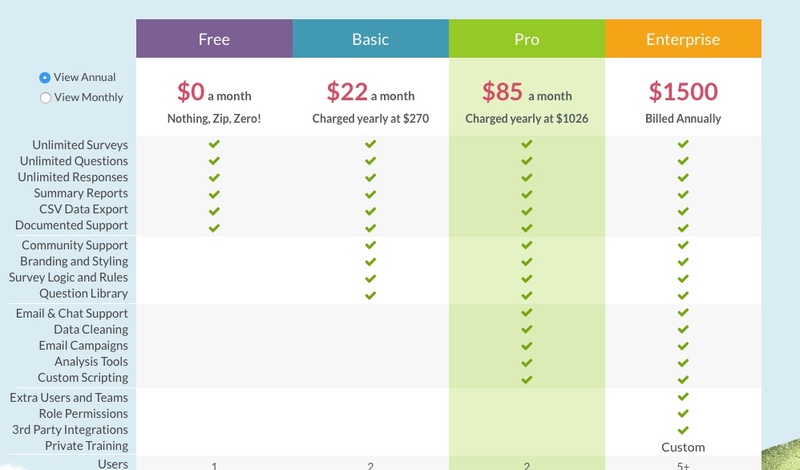 What are the takeaways from SurveyGizmo pricing and its adoption of free? Pricing starts with customers – It is never about you or the competition. You start with what customers seek to do, what their options are, how do they buy and what is their budget. All these factors vary across different customers. In SurveyGizmo case some are just looking for a simple response collecting tool, while those with research tasks are looking for a sophisticated survey tool. Failure to understand this difference will result in disappointment for all. Those who seek free has many options – When you chase those users who prefer free you risk being compared against all those options and lose the opportunity to show differentiated value to your customers. Customers do not know the right price – This may sound as contradiction to the first point but it is the other side of the same coin. While pricing starts with customers they do not know what is the right price to pay for a product. They look for value clues and specifics like services offered with a product. They are influenced by nudges like High-Low pricing that shows a high price with strikethrough and a discounted lower price. Free is not secret to growth – SurveyGizmo recognizes growth is oxygen for a startup but free is not the path to it. They model almost zero lifetime value for those who choose free. “Very few if any of these users will upgrade”, says Vanek. If you understand the free users will not upgrade, there is no opportunity cost of lost revenue or reference price when it is time to upgrade. Understand all the costs of free– When they had free version SurveyGizmo found it cost them significant amount to support those users even though the marginal cost in software is zero. That meant degraded experience for paying customers or adding more costs with no return. A service model innovation, leveraging communities, took away all these costs to support free users. So they decided to reintroduce free. Use Free only to be part of conversation – The reintroduction of free was carefully decided not as growth source but to enable SurveyGizmo be part of the conversation. When people Google for “Online Survey tools” Survey gizmo is in the top 3 results. Offering the free version enabled them to be in the consideration set of those searching and increase awareness among others. Practice the right type of free – SurveyGizmo understands most who use a free survey tool use it in its simplest form. They want to ask 2-5 questions and get just about 100 responses. So they opened up both those dimensions and made no limits on number of questions or responses. The professional survey writers value advanced features like question logic and response error checking. These features are not offered in the free version so those who are willing to pay for the product are not tempted. Offer optimal versions – SurveyGizmo had just one version at a fixed price of $50. That was attractive to its existing customers but turned away new customers who were willing to pay but not the high fixed price. So they replaced that with a $22 and $85 versions. Always be experimenting – Vanek understands pricing is never done and it is not something we will all understand completely. The right approach is to be willing to change and always be experimenting to find the right price that delights customers and supports your business. Do not jail in customers – Pricing and licensing should never be about making life difficult for customers. If customers try to downgrade to free version from paid version, allow it. 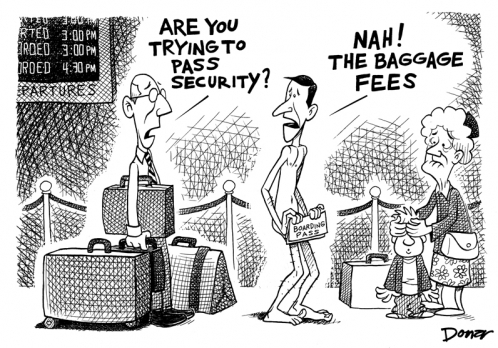 Make it easy for them to do business with you and do not use guards to fence them in. These are great business lessons for any startup. Previously I wrote about two cases of airline pricing – one a completely unbundled offering and the other that offers five different product versions. The recommendation and implication for your product pricing was to use unbundling as way to expose customer preferences then create targeted versions with select features. When we look at pricing I have always recommended methods that increase the total value pie for both brands and customers versus those that are skewed towards one or the other. Increasing total value may mean customers pay higher prices but they willing pay and get more share for that price. Conversely decreasing prices may not result in better value for customers as they may pick a version purely on price and miss out on value and you lose as well. How does the price sensitivity of consumers who buy only the base product compare to the price sensitivity of consumers who value the add-on? How many consumers will use the add-on only if it is offered for free? How great is the marginal add-on cost? Will the competitor independently discover and implement the add-on pricing opportunity? Valid questions but these are not the relevant ones because they lose sight of the goal of maximizing the total value. And on the topic of competition you must assume your competitors will know everything about your price. Who are the most price sensitive customers? Is this within your business strategy to target this segment? What is the sub-segmentation preference, that is what mix of features are attractive to different groups? What is the optimal set of versions you can offer that allows customers to self-select and feel good about it? What should be the pricing for these versions that maximizes your value and customers willingly pay the price?